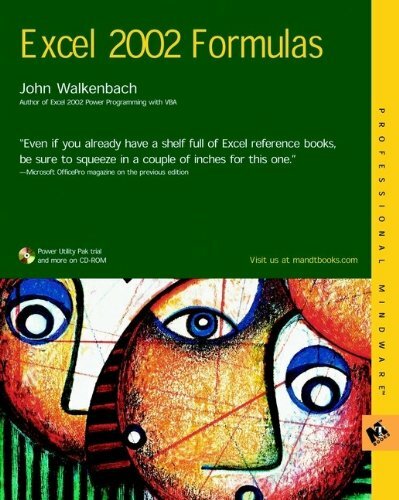 Excel 2002 Formulas covers every aspect of formulas, including some unusual uses -- such as chart series and conditional formatting specifications. This book answers virtually all formula-related questions posed in Excel newsgroups on the Internet. Plus, it contains a coupon for Walkenbach's Professional Power Utility Pak.